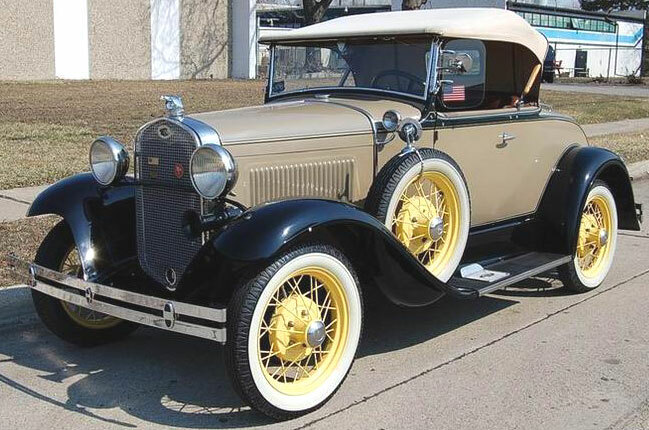 This tan and black 1931 Ford Model A Deluxe roadster with rumble seat is a very nice older restoration ready to be shown and driven. The previous owner had this car for about 20 years. It was always garaged and very well maintained. The roadster has dual side mounts with locking mirrors, dual tail lights, wind wings and luggage rack. Up front, this vintage Model A roadster has a bug screen and quail radiator cap. The car has yellow wire wheels and white sidewall tires. It comes with side curtains, a boot for the top and a full car cover. The top is in good condition but there are some faint water marks. The odometer is not working so the actual mileage is unknown. 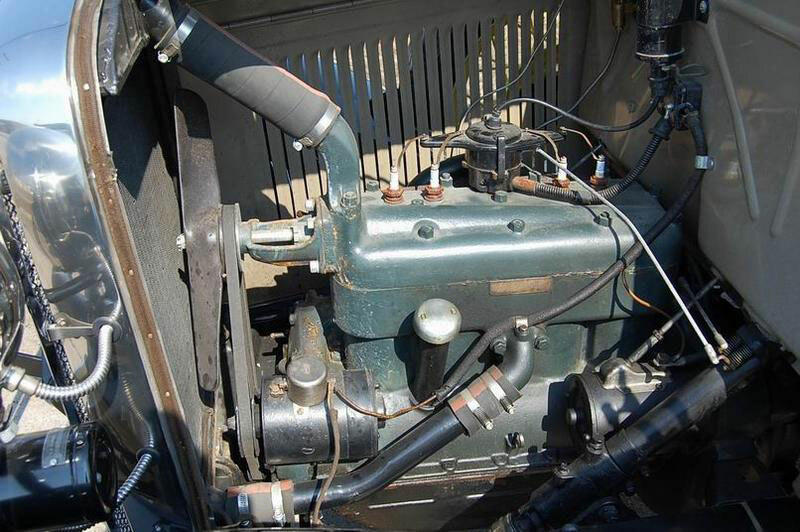 The 201 CID L-head 40 HP inline four cylinder motor and 3 speed manual transmission are in good condition. The car runs and drives well. 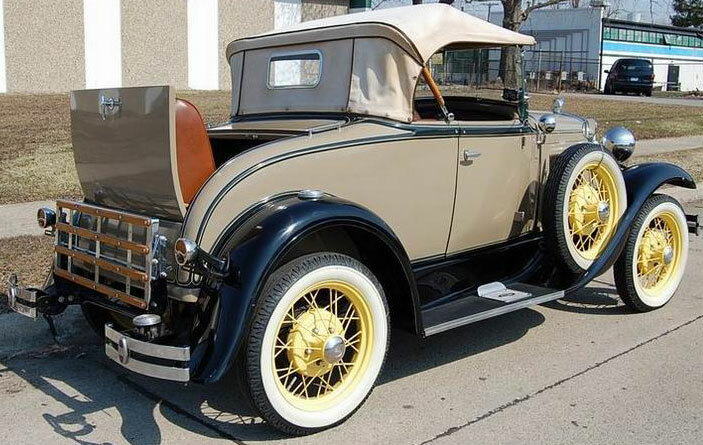 Don't miss this opportunity to own , drive and show this very nice Model A rumble seat roadster. 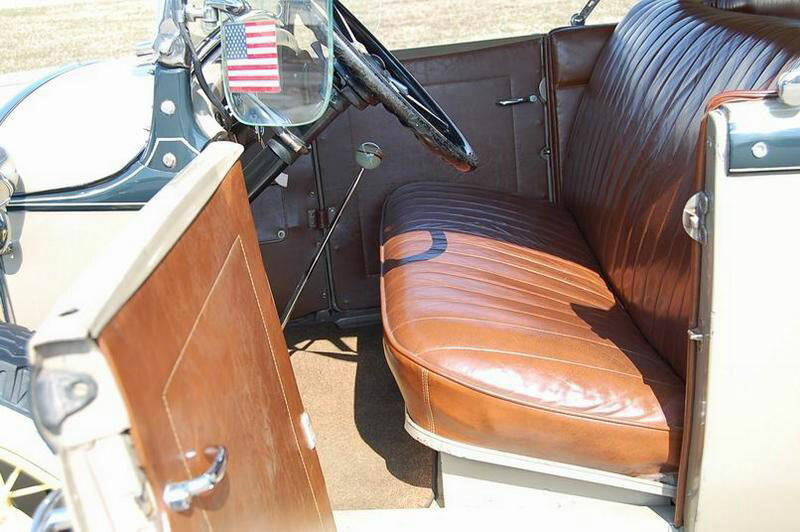 Please call (406) 318-0270 for details about this restored vintage Model A roadster. For sale $26,000.